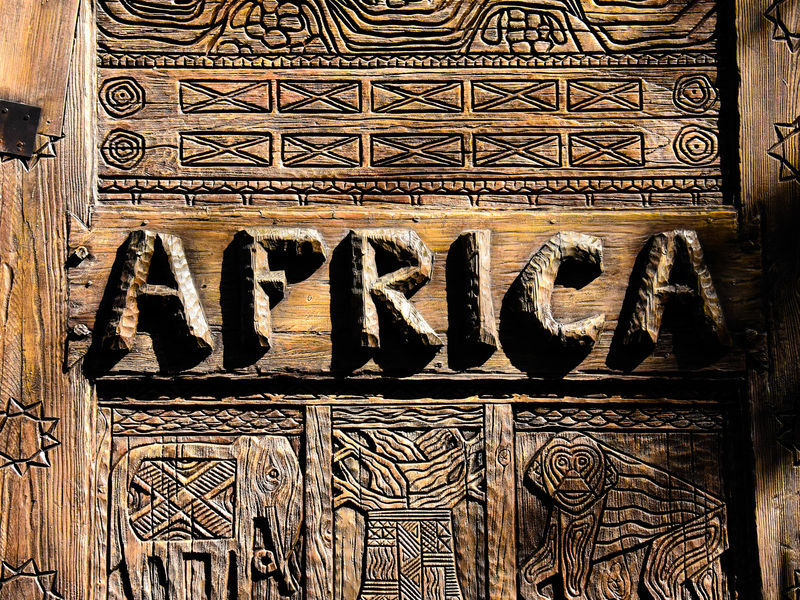 Festival of the Lion king has been part of Animal Kingdom since it opened and it remains just as popular as ever. It is one of the few live action shows based on a Disney movie that does not attempt to tell an abbreviated version of the movie's plot. 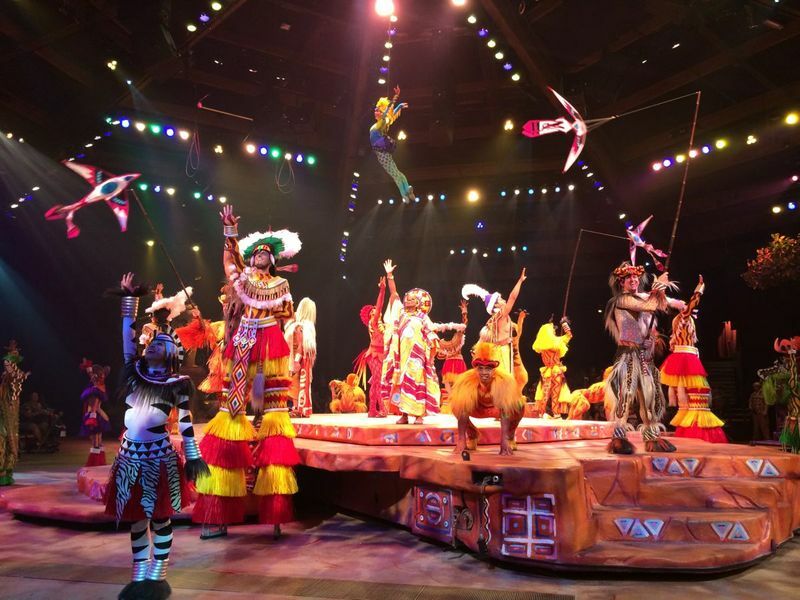 The show is essentially a song-and-dance festival overseen by Simba and other animal creatures (Simba, Pumbaa, an elephant, and a giraffe appear as impressive giant puppets). Four tribal leaders headline the show which in which acrobats perform stunts in addition to the dancing and singing. 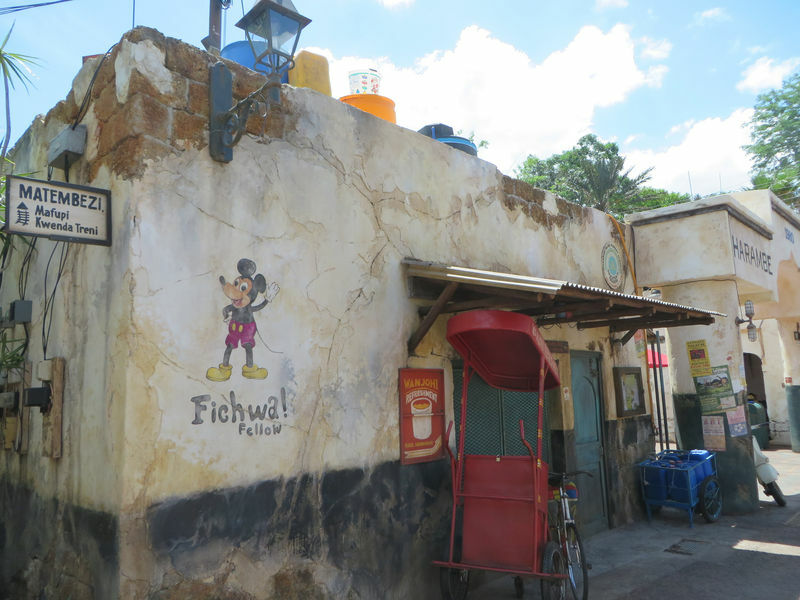 Location: To the right as you enter Camp Minnie-Mickey. Characters: Simba, Timon, Pumbaa from The Lion King. Wait Times: Most shows will fill to capacity so you'll want to show up early. For front seating you will want to show up at least 30 minutes early. This show is open during evening Extra Magic Hours but not the morning version. Queue Description: None, just a large waiting area. It is outdoors and exposed to the sun. Ride Access: There are designated areas for wheelchairs and ECVs. If front row seats are not available, it will be necessary to climb steps to get to other seats in the risers.